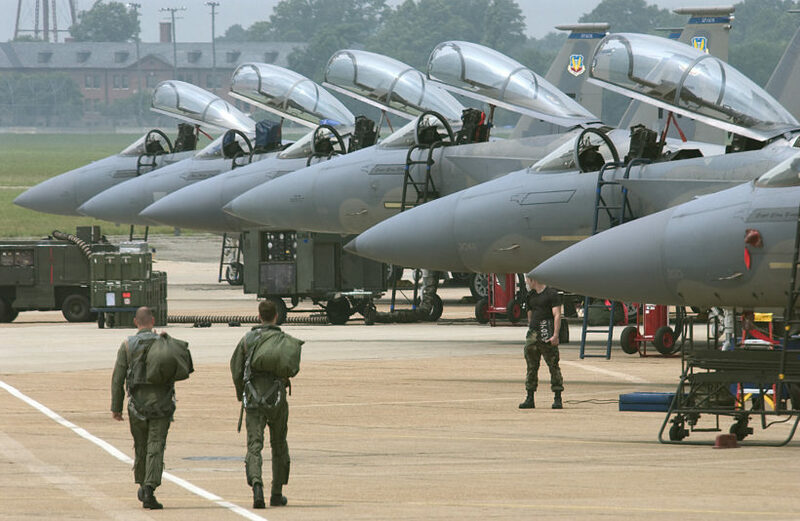 (by Bryant Jordan, Military.com) – The attack last July on a recruiting office in Tennessee has prompted the Air Force to remind commanders they may authorize qualified airmen to carry weapons on base while off duty and out of uniform. The Air Force on Wednesday said its review of “active-shooter incidents across the country” found that many ended without police intervention because someone present with a weapon stopped the shooter. Three programs authorize commanders at all levels — as long as they have authorization from the base commander — to allow conceal-carry or open-carry on the installation. The Air Force announcement did not say which incidents caused it to issue the reminder, though a spokeswoman for Air Force Headquarters in Washington, DC, said it is because of last year’s attack on a recruiting station in Chattanooga, Tennessee. In that attack — one of at least four on recruiting offices, military installations or properties since 2008 — a gunman opened fire on an Army recruiting office, wounding a soldier, then went to a Navy facility, where he killed four Marines and wounded a sailor. The gunman, Muhammad Youseef Abdulazeez, a Kuwait-born naturalized U.S. citizen, was shot and killed by police. In 2010 a former Marine reservist originally from Ethiopia, who officials said had jihadist sympathies, opened fire on the Pentagon and Arlington National Cemetery before being apprehended. A year earlier an American convert to Islam killed one soldier and wounded another when he attacked a military recruiting center in Little Rock, Arkansas. The killer, reportedly angry over treatment of Muslims, was sentenced to life in prison. In 2008 someone set off a bomb outside a Times Square, New York City, recruiting office. No one was injured and the case has remained unsolved. …Maj. Quick said three programs established by the Air Force Security Forces Integrated Defense team enable commanders to beef up security through conceal-carry. The programs are the Unit Marshal Program (UMP), Security Forces Staff Arming (SF) and Law Enforcement Officer Safety Act (LEOSA) programs. Under the Unit Marshall Program, unit commanders can have airman to train under Security Forces personnel and open-carry an M9 pistol at their duty location. Airmen selected for UMP would be instructed in use of force, weapons retention and weapons training. The role of these airmen would be to protect themselves, their immediate work space and the people within it, Quick said. Commanders also can take advantage of the Security Forces Staff Arming program, which enables SF airmen working in staff billets at the squadron, group, wing or major command levels to carry a government-issued weapon while on duty, with the approval of the installation commander. Any Air Force security force member who has the appropriate Air Force specialty code and is current on all of their qualifications may qualify for the program. The goal is to put trained defenders in places around the base where they could immediately act in the event of an active-shooter or other threat, Quick said. Commanders may also use the Law Enforcement Officer Safety Act (LEOSA), a federal law that allows law enforcement personnel — past or present — to carry a concealed weapon in any state for personal protection against people who may want to harm them, as long as they obey state and local firearms laws. The law was created with the understanding that police officers make enemies throughout their careers. Before the Law Enforcement Officer Safety Act they were allowed to carry a concealed weapon in their jurisdictions, but not in other cities or states. Quick said the Air Force now allows its members to request LEOSA credentialing. Reprinted here for educational purposes only. May not be reproduced on other websites without permission from military .com. 1. a) What did the Air Force remind base commanders of in a letter sent out earlier this month? b) What did Maj. Keith Quick, the Air Force Security Forces Integrated Defense action officer, note about the policy? 2. What prompted the letter to base commanders? 3. What did attackers who targeted the military in Chattanooga, the Pentagon and Arlington Cemetery and in Little Rock have in common? 4. Describe the three programs established by the Air Force Security Forces Integrated Defense team to enable base commanders to improve security through conceal-carry. 5. Do you think all U.S. service personnel should be permitted to carry weapons while off duty and out of uniform? (Does the fact that they are targets for Islamic extremists influence your opinion one way or the other?) Explain your answers.